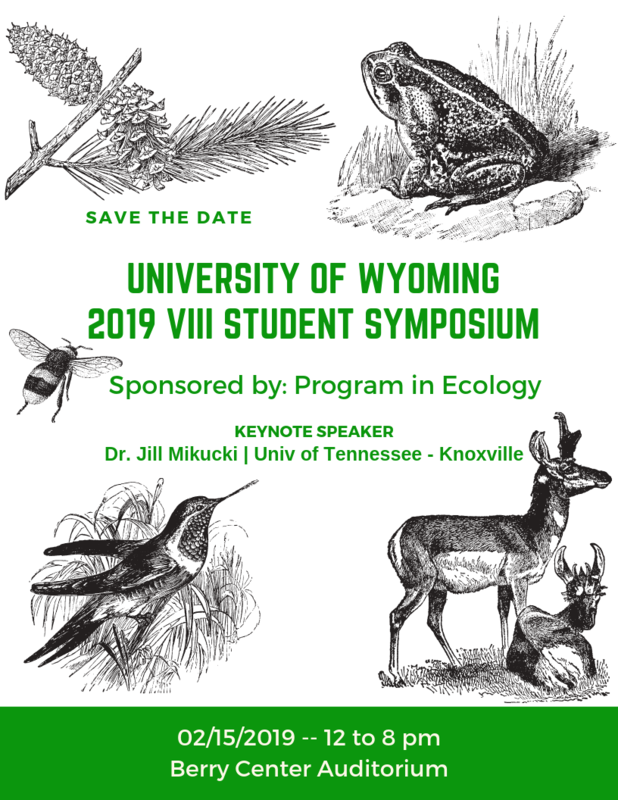 The eight annual Ecology Student Symposium will be held February 15, 2019 in the Berry Biodiversity Conservation Center at the University of Wyoming. 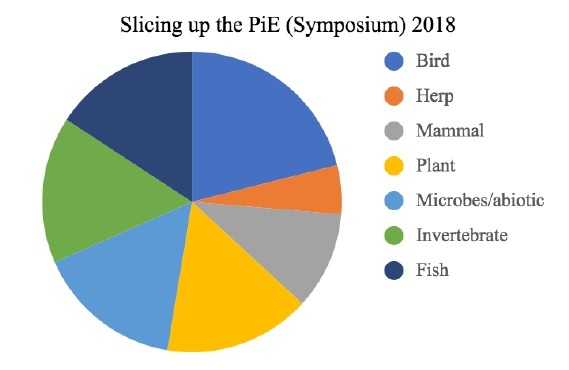 The Symposium, coordinated and hosted by the PhD students of the Program in Ecology, will feature student research currently underway in the Program in Ecology. The event is free and open to the public - all are welcome to attend! · Macy Ricketts: A microscopic solution to a mammoth problem: How can microbes in soil profiles help us understand the past? Ali Ceretto - Do plant associated microbes exhibit diel cycling? Our guest keynote speaker, Dr. Jill Mikucki is an American microbiologist, educator and Antarctic researcher, best known for her work at Blood Falls demonstrating that microbes can grow below ice in the absence of sunlight. She is a leader of international teams studying study ecosystems under the ice. 51 current students and 52 alumni. The Berry Center is located just west of the Geology Building on Lewis Street between 9th and 10th Streets. Call 766-6240 or email Zoe Nelson with any questions.